Tee It Up for Joy – To establish relationships allowing us to raise educational funds for children affected by Spina Bifida. Includes: Lunch & Dinner, Golf Shirt, Gift Bag, Driving Range, Beverages, Designated Contest Entry and a VIP day on the course at Tierra Verde Golf Club in Arlington, Texas. A special thank you to our sponsors who are helping us provide a quality tournament for our golfers. With each sponsorship, we have more financial impact towards our scholarships. Browse our levels and partner with us today! The Because of Joy scholarship is a continued education scholarship for those affected by Spina Bifida. Wanting to make certain all children realize their academic dreams, Because of Joy has dedicated its resources to ensure finances are not an obstacle in realizing higher education. We award 2 scholarships each spring. One to a student diagnosed with Spina Bifida and a second to a student with a sibling diagnosed with Spina Bifida. Spina Bifida occurs when the spine of the baby fails to close during the first month of pregnancy, leaving a permanent opening in the spinal column. Those who are born with Spina Bifida must learn to live with conditions such as hydrocephalus (fluid on the brain), full or partial paralysis, bladder and bowel complications, learning disabilities, depression, and deadly latex allergy as well as social issues. There is no known cause of Spina Bifida and each of the 65 million women of childbearing age in this country are at risk for an affected pregnancy. It is estimated that up to 70 percent of birth defects like Spina Bifida can be prevented with a daily dose of 400 micrograms of folic acid every day prior to pregnancy. The average total lifetime cost to society for infants born with Spina Bifida may well exceed $1,000,000. Children who have Spina Bifida have medical expenditures 13 times greater than healthy children. Adults who have Spina Bifida had medical expenditures 3 to 6 times greater than healthy adults. Savanna is 18 years old, and graduated from Farmersville High School this year. Savanna has been involved in the sport of fencing for 10 years and competes at the regional and national levels. Savanna is an avid reader and has participated in Project Gutenburg where she has proofed books that would then be turned into free e-books. She has also been a leader in the anti-bullying effort in her community by being a member of Friends of Rachel Club which governs the students encouraging kind treatment of others. Savanna will be attending Stephen F. Austin in the fall where her major will be History. Her plan is to work for a Prestigious museum and hopes to one day be a Curator. We are proud to be a part of her future and wish her much success in her new adventure. We are excited to see Savanna dream big despite the obstacles that Spina Bifida presents. Congratulations Savanna! David is 19 years old and attends Clemson University pursuing an Engineering Degree. David carries a 4.0 GPA at the completion of his freshman year and was inducted into Alpha Lambda Delta—a collegiate honor society for freshman students with 3.5 GPA and top 20% class placement It’s not all work and no play… David has been involved in the Clemson Club Volleyball program and is a Humane Society Volunteer on Saturdays. He has joined a small life group bible study called “Revolution”. David’s sister, Jamie, has spina bifida and he feels this has taught him lessons about helping and caring for others along with a 6th sense in knowing how and when to help those with disabilities. That is something he will use throughout his entire life. Congratulations David on earning this scholarship for a 2nd year. We are pleased to be a small part of your continued success! 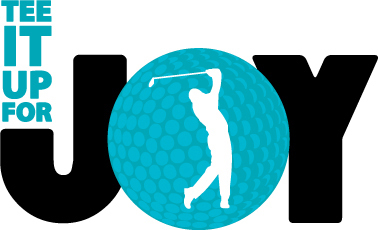 © 2019 Tee It Up for Joy.